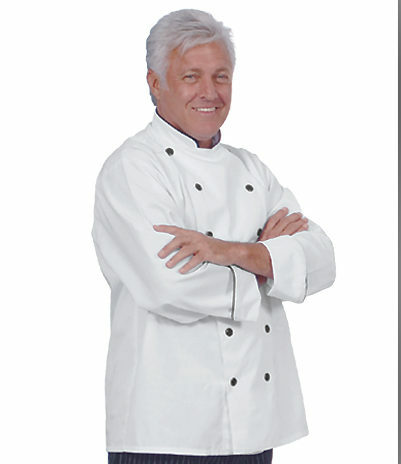 Executive Chef Coat from Fame Fabrics. 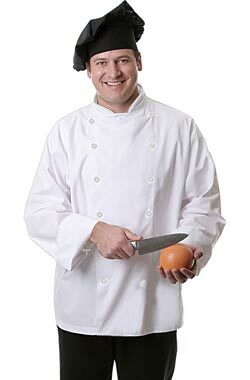 Classic full cut executive chef coat with 12 pearl buttons. A stylish alternative, this twill coat offers traditional features. 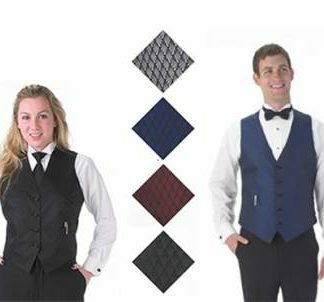 Embroider your restaurant or country club logo and create brand recognition or personalize your coat with your name and culinary position. Our easy care coats work just as hard as you do. 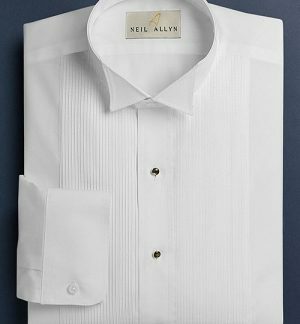 Made from 65% Polyester/35% Cotton; 7.0 ounce weight material.